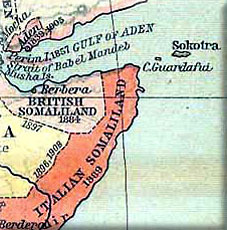 The time was early 1944 and the place was off Cape Guardafui, also known as the Horn of Africa. The troopship MV Dilwara was en route from Bombay to Italy fully laden with troops. The ship pulled in relatively close to Cape Guardafui and stopped. We did not anchor but just manoeuvred as necessary in order to maintain our position, possibly mindful of Japanese submarines. From the Somaliland shore, not far from the lighthouse, a small motor boat headed in our direction. The motor boat eventually pulled alongside Dilwara and a lone figure was helped from the motor boat to board the troopship. The motor boat headed back to shore and Dilwara quickly got under way again and headed into the Gulf of Aden and on to Italy via the Suez Canal, etc. I asked one of the deck officers why we had stopped at Guardafui and who and what were the antecedents of our new passenger. "You will not believe me if I tell you," he said. "But I will tell you anyway. The gentleman is a lighthouse keeper and we picked him up because of some trouble ashore on Guardafui. It seems he was in danger and the only answer was for us to pick him up. Don't laugh, it is absolutely true." We talked for a moment or two and agreed that the "Powers-that-Be" who had ordered a fully laden troopship, in possibly dangerous waters, to stop and pick up a lighthouse keeper should be hung, drawn and quartered or, alternatively, committed to a mental institution. The war eventually ended and the various participants went back to the cut-and-thrust of civilian life. During the war the only thing that one could be certain of was "lifetime" employment. With the advent of peace, however, as the Irishman said, nothing was certain except uncertainty! Many years later, about 1959, I was stationed in the Karamoja District of North-Eastern Uganda. I was employed by the Uganda Government in the Rural Water Supplies section of the Geological Survey Department. This involved responsibility for and the care of the rural water supphes of the Karamoja District, an area of about 11,000 square miles. Karamoja District had been suffering for some time from an over-abundance of cattle. This was largely due to the benevolence of the Uganda Government who had decreed, in their wisdom, that large scale vaccination of the cattle in Karamoja would take place. This measure was intended to curtail and/or prevent decimation of the cattle herds by periodic epidemics of rinderpest and other contagious diseases which occurred in Karamoja from time to time. The vaccinations were very successful and, as a consequence, the cattle herds multiplied exceedingly. This resulted in an unforeseen snag: the grazing could not cope with the extra numbers of cattle and so the herds began to suffer starvation. To exacerbate the grazing problem further, the starving cattle began to dig out the grass roots and consume them. Without the grass roots to bind the soil, large amounts of valuable top-soil were lost when the rains came. To combat the serious problem, the Karamoja Cattle Scheme was quickly inaugurated and launched. The main idea of the scheme was to purchase a large number of cattle from the Karamojong owners in the hope of reducing the total number of cattle in the district to a level where the grazing would not unduly suffer. An added advantage to the scheme was that it would give the local tribesmen some practical experience in elementary economics. One of the many esteemed functionaries in the Karamoja Cattle Scheme was the Cattle Buyer. It was the business of this gentleman to travel throughout the District every month and buy cattle from the local owners. For the scheme to be successful, it was necessary for the Cattle Buyer to regularly attend a particular geographical point in the district at the same time each month. This was so that the local sellers of cattle would become used to the Cattle Buyer being regularly at a certain point in their area and on a certain day each month. The appointee as Cattle Buyer was a Mr Brian Flint and, in my opinion, no better person for the post could have been selected. Brian was extremely dependable and attended the numerous buying points in the district with what might be described as monotonous regularity. Brian Flint was a middle-aged bachelor whose permanent home was in Kenya. It was there that Brian lived with his two spinster sisters whom he adored and, I understand, he was their main support. The cycle of cattle buying in Karamoja each month took about three weeks to complete. At the end of the cycle, Brian would return to Kenya and spend a few days with his beloved sisters. He would then return to Karamoja and begin another cycle of cattle buying. Brian had one physical defect however, he had a wooden leg. Although this did not in the least detract from Brian's efficiency as a Cattle Buyer, it had been a source of regret to him during the Second World War. He had so wanted to "get into things", as he put it, but the wooden leg was always a hindrance. One evening in Karamoja, we had the pleasure of entertaining Brian to dinner together with a few other guests. 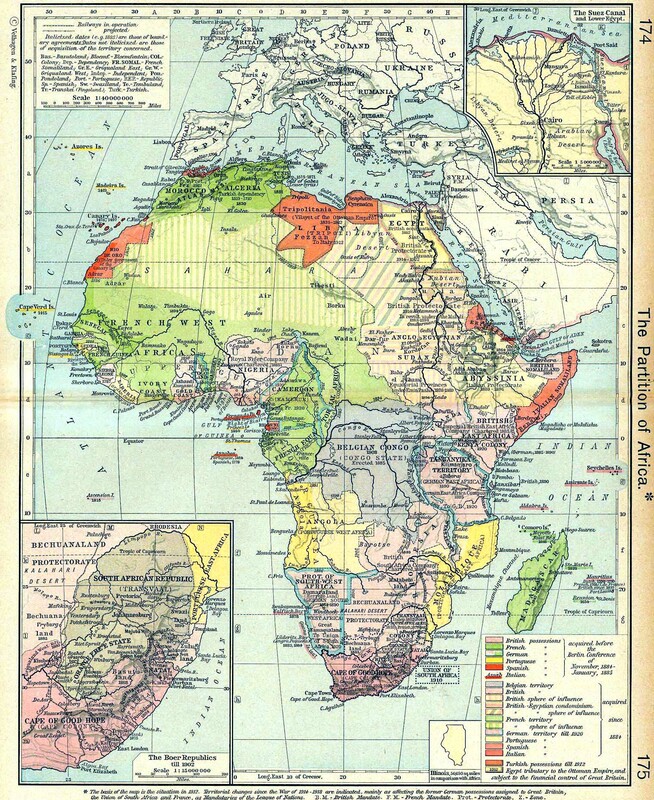 During the course of the evening, we somehow got on to the subject of life in East Africa during the Second World War. It appeared that Brian had made regular and repeated visits to various authorities, always offering his services to help the war effort. All to no avail because of his leg. Then one memorable day Brian was sent for and offered his chance to serve. 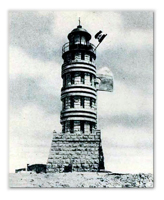 It seemed there was a desperate need for a responsible person to travel to Somaliland and put the lighthouse at Cape Guardafui back into operation. With alacrity Brian accepted the commission. As Brian tells the story, the journey was arranged for him and one fine day, complete with native entourage, Brian set off for Cape Guardafui in Somaliland via Northern Kenya. The last stage of the journey, according to Brian, consisted of a five-day trip by camel caravan to reach the hghthouse. Eventually Brian managed to get the lighthouse operational. The idyll was not to last too long however. The natives, as they say, became restless and Brian's immediate future was looking somewhat bleak and in danger of being brought to an abrupt and unpleasant end. But all was not lost however. It seemed there was a passing troopship in the vicinity. "And you are not going to believe this," said Brian. "That troopship was ordered in to pick me up." I could not help smiling. Brian mistook the smile for cynicism. "You see, I knew you wouldn't believe me." "Brian," I said. "I most certainly believe you. The troopship was called Dilwara and I was on board at the time." Then I described to Brian in detail how I had watched as he was brought out to the ship by motor boat and helped aboard.